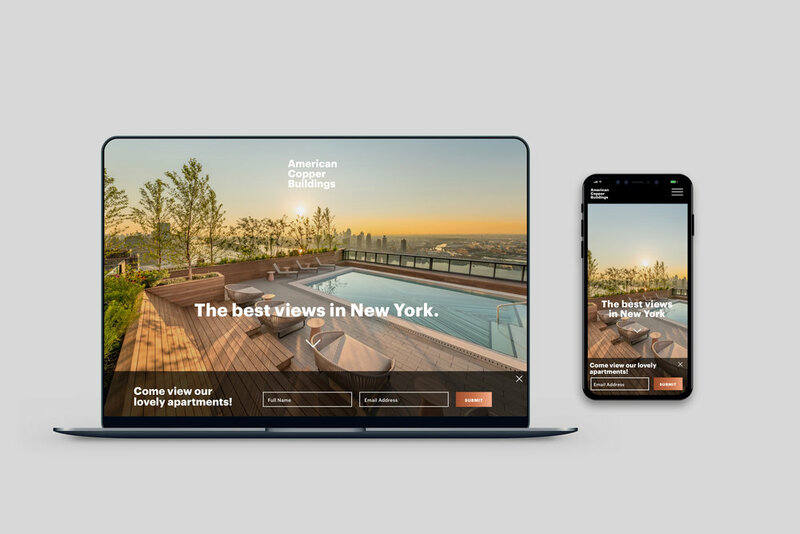 I recently designed the relaunch of americancopper.nyc with The Charles Group. As the Visual/UX lead, I developed the site hierarchy, created the visual language and designed a seamless web experience. I wanted to convey a memorable experience that was easily digestible for potential renters. We utilized luxurious images, strong typography, white space and a clean design aesthetic to push the brand narrative.